Also remember that most 4wds have a separate chassis, to which the bull bar is mounted - the Pajero bull bar mounts direct to the monocoque body. A ladder chassis isn't as rigid as proponents want you to think it is, which can be seen by watching the bull bar move with respect to the bonnet. Bull bars on ladder chassis vehicles vibrate more than on monocoques, so if somebody wants to talk about failures of items mounted to bull bars it's important to understand the vehicle that the bull bar is on. Even beyond ladder vs monocoque, different ladder chassis vehicles will have different "resonant frequencies" at which the chassis will vibrate most. If the chassis resonant frequency happens to be a frequency to which the mounted device is susceptible, then failure is more likely. My father has lost a few antennae from his Prado's bull bar. I've never lost one from a Pajero bull bar (NJ or NT, although neither spent much time with a bull bar mounted antenna) and I'm not aware that my brother has ever lost one from his 80 series. Thanks nj for a comprehensive explanation! I will install it on my bullbar with confidence noting also that it's primarily for vehicle to vehicle comms in a convoy. Pat callinan tested (YouTube) the exact model mounted on his bullbar and it had 9.3km range. Plenty for me for now. When the need arises I can look at mounting higher on the vehicle, whether it's this aerial or another. My comments in this thread may be of interest to you. It wasn't the mounting that failed or the antenna coming loose but the poor design of the internal elements of the radome. Thanks mate I’ll keep this in mind. I've had a GME AE4076(I think that is the model) fail. The antenna failed at the base between the metal ferrule and the fiberglass rod. No contact damage just corrugations rattled it loose. Running a Minespec 6.6dbA so we'll see how that goes. 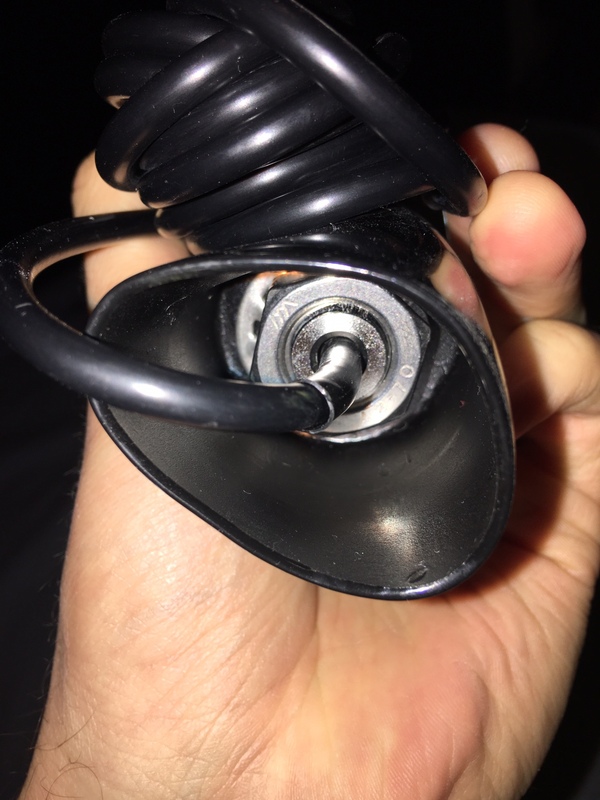 Anybody know why the antenna would be shipped with this black soft plastic sleeve attached by the mounting nut? Can’t find an install guide to clarify. At first I thought it might be to keep water out but a) it’s mighty hard to tighten the nut with it on coz it’s recessed by about 1 inch, and b) it’s not visible in any marketing photos. Last edited by HeavyPizzaz; 5 Days Ago at 07:40 AM. You remove the rubber, install without it. Gme all have some sort of protection out of the factory. Stock for now, Arb bullbar installed, HID IPF driving lights. 2012 PB Challenger. ARB Bullbar. Uniden UHF. ARB underbody protection. Cargo Barrier. Mitsu towbar. Lightforce 170 striker driving lights. Cheers thanks mate. Confirmed my suspicions. 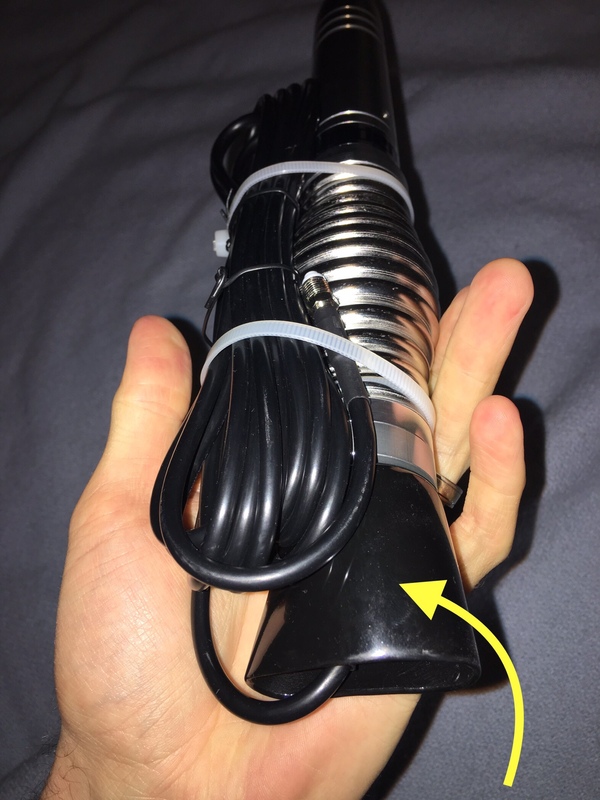 Interesting that it needs it though, just to protect bottom of the cable I assume given it comes in a soft plastic package. The black sleeve protects the coax termination against damage during shipping. To quote Basil Fawlty . . . "Throw it away".